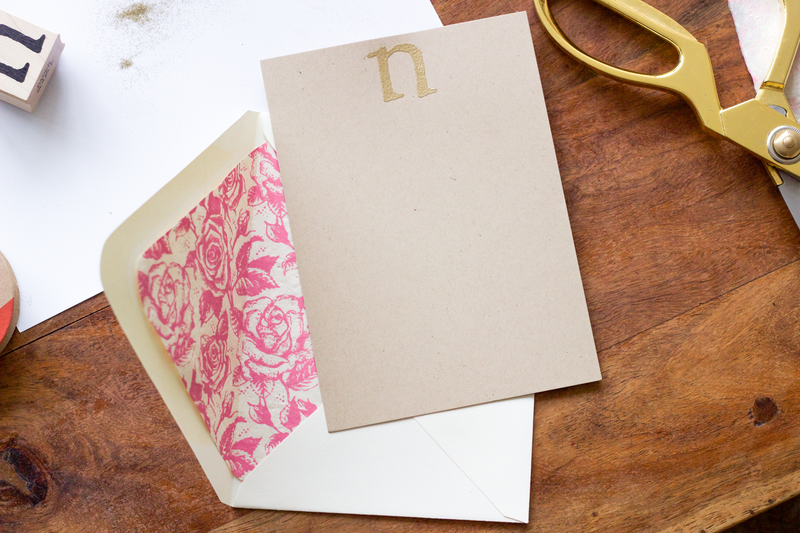 Who doesn't love personalized stationery? Oh, you back there? You can kindly leave. Kidding, please come back tomorrow! 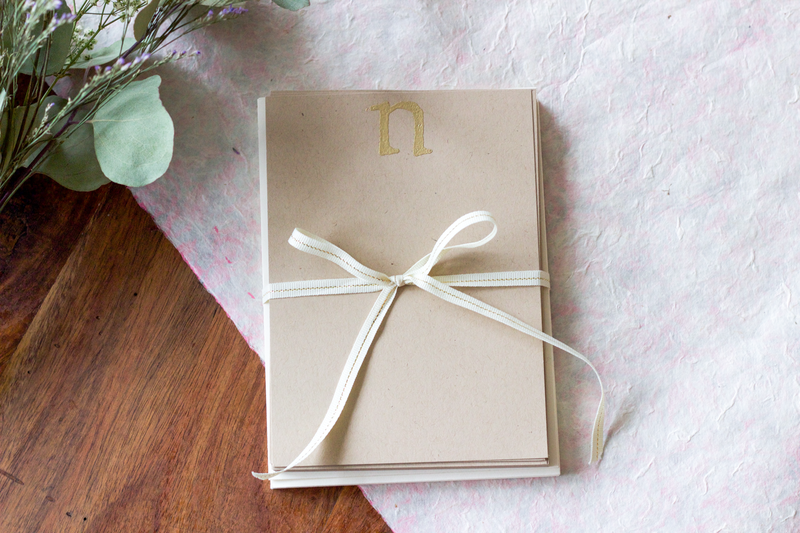 For the rest of us, today's post is all about how to make your own personalized stationery which also makes for a super easy and thoughtful gift. I made our own save the dates for our wedding (btw, would you want to see a post about that process?) and had a ton of leftover supplies. I didn't want them to go to waste so I decided to make my own stationery. And boy, was it easy! Not including the ink, powder, or embossing tool (all reusable) this particular giftset cost just a little over $10. Not bad, right? 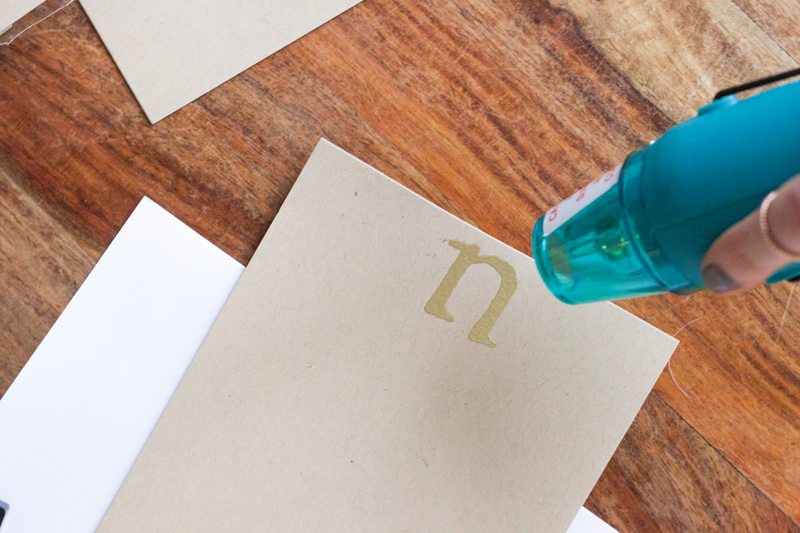 STEP 1: Use the clear ink to stamp your initial on the card. 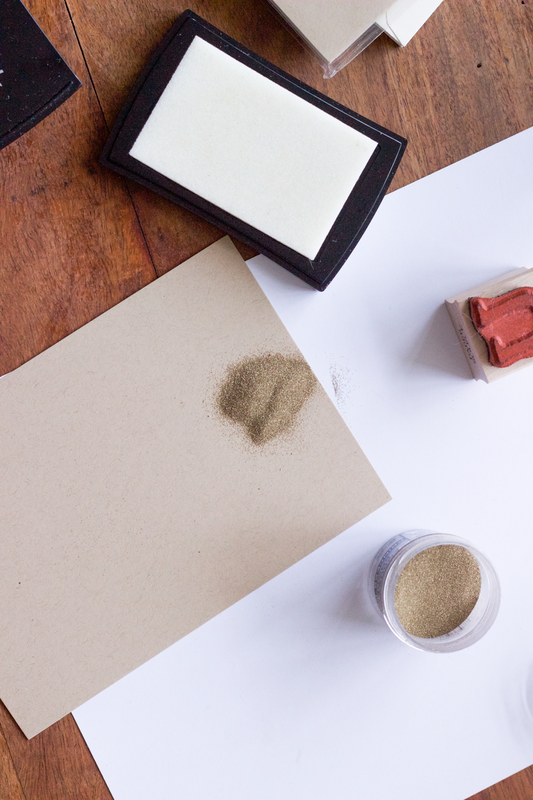 STEP 2: Pour the embossing powder over stamp and shake the excess powder back into jar. 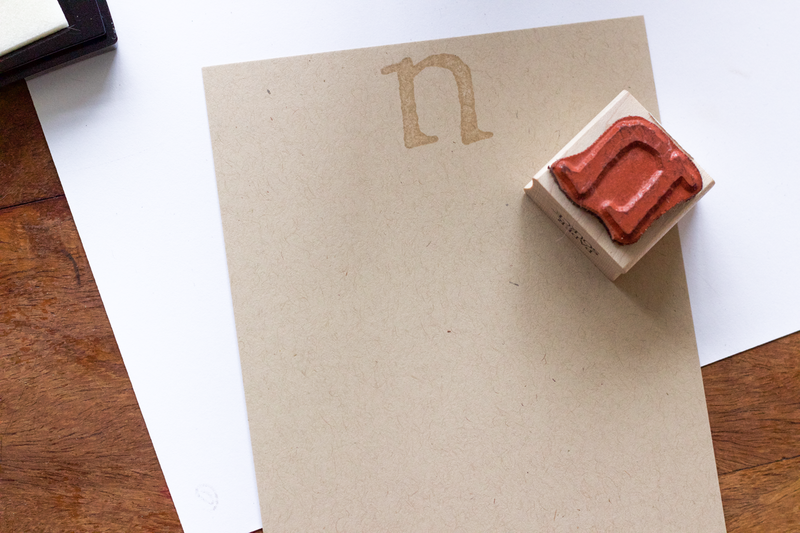 STEP 3: Use the embossing tool to evenly apply hot air over the stamp. The embossing powder will begin to melt and solidify. 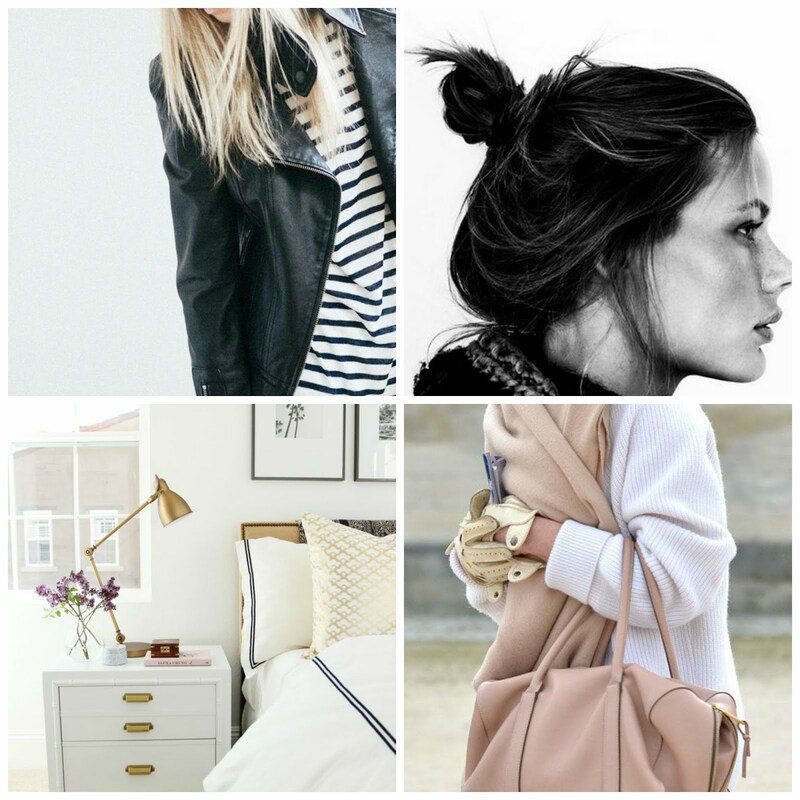 You could also use a hair dryer here but it doesn't get as hot as the embossing tool so it will take a bit longer. STEP 4: Add an envelope liner for an extra added touch. And that's it! Easy, right? 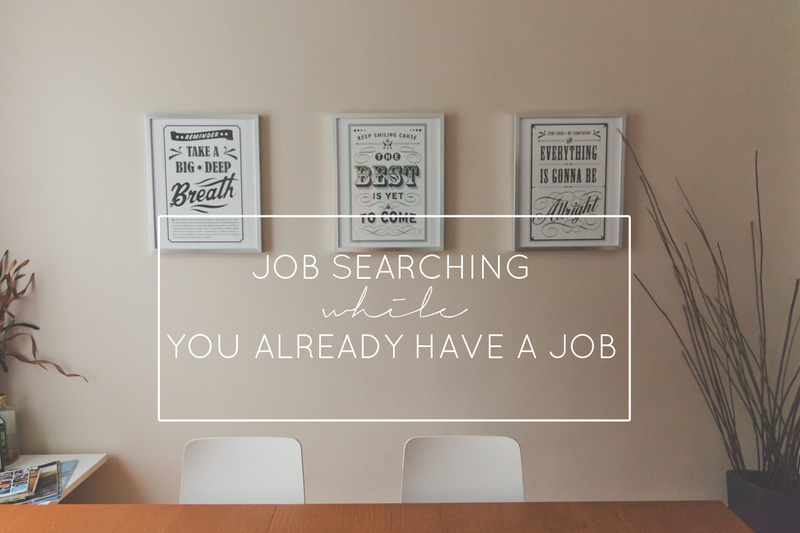 Once you have the supplies, the opportunities are endless. 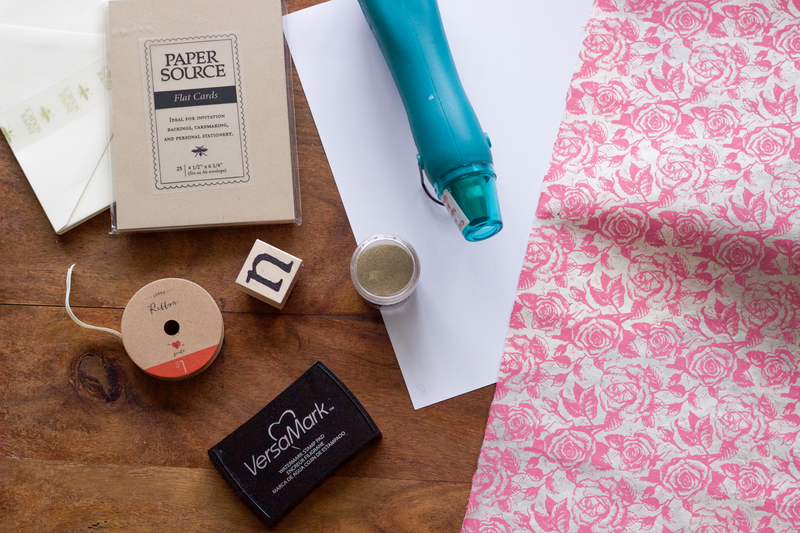 Papersource always has loads of stamps on sale so it's easy to build your little collection of stamps so that you always have a few stamps on hand to make a thoughtful gift. Thanks so much for sharing this, Nicole! I so want to try this out. Would love to see that post on how you made your save the dates, too :]!